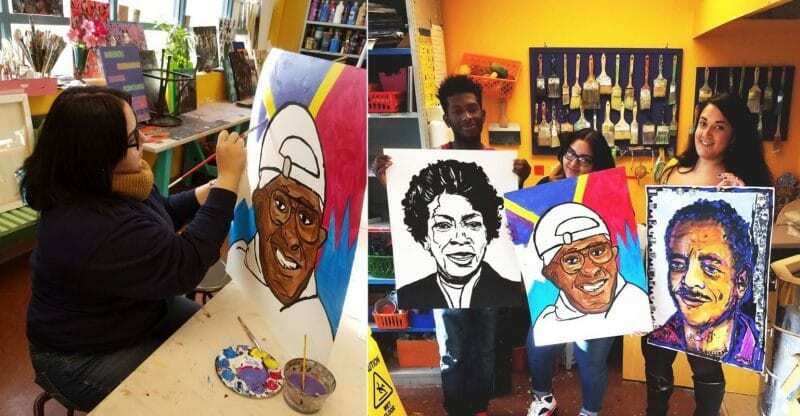 Our Piece of the Pie (OPP) is mentoring inner city youth in Hartford, Connecticut, taking them by the hand, listening to them, and pushing them to believe in themselves so they can get ahead and break the cycle of poverty. Thanks to OPP, many youths who would otherwise drop out of high school, not only stick around in school long enough to graduate, but go on to get some higher education. That means they can potentially vie for more white collar jobs. Which means they are climbing out of that lower income pit and making something of themselves. Kars4Kids: When did OPP become operational? How many students have graduated as a result of OPP’s work since its founding? Our Piece of the Pie: OPP has been serving the Hartford, CT community since 1975. In its former incarnation, as Southend Community Services, OPP provided a wide range of programs and services to the children, families, youth and seniors of the region. In 2005, following a comprehensive study of community needs and organizational strengths, the agency changed its name, mission and focus to support only the underserved population of urban youth ages 14-24. Since that time, we have had marked success with that population and served over 1600 youth across CT last year. Our goals are straightforward – we consider youth to have successfully completed our program when they have obtained one of the following: a college degree or vocational credential and/or been meaningfully employed for one year. Simply put: when they have become economically independent adults. Because we work with youth for a long period of time (from ages 14-24) tracking graduation alone doesn’t give a complete picture of our work and success. Some youth come to us while they are still young teenagers, others don’t access our services until they are out of school. Some youth are keen on college, others are more interested in vocational certifications and a good paying job. We are very proud of the accomplishments of the youth we work with, they inspire us with their grit and resolve. with a quiet confidence. That confidence was hardwon. When Terrance was 14, his family lost their home to domestic violence. His mother brought Terrance, his sisters and brother from Bridgeport to New London, where room could be found in a shelter. Terrance graduated high school with poor reading and math skills. He was afraid to even try. He believed everything he’d been told about himself. Then his social worker introduced him to OPP. 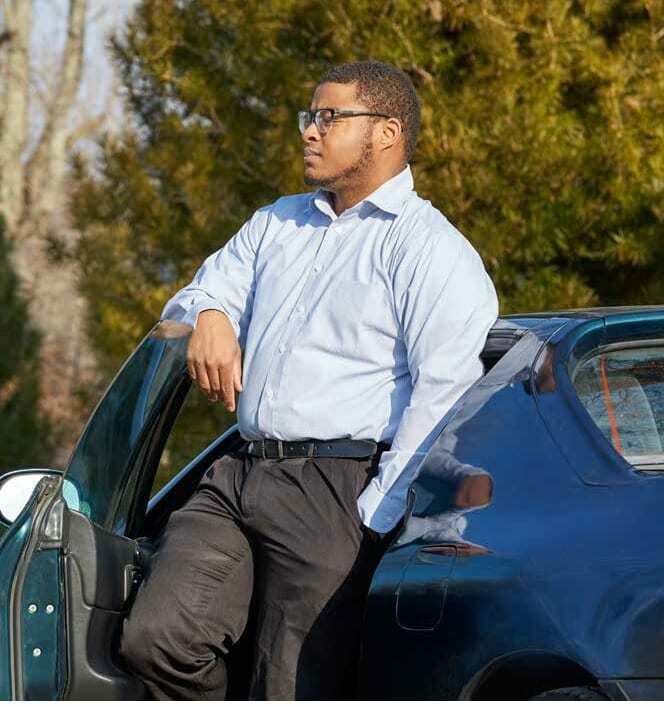 At OPP, Terrance did homework, studied for his driver’s license, and learned to budget. Sherrie helped him secure his first job at Ocean State Job Lot. There he learned he was capable of much more than he’d ever believed. “I could do something more,” he realized. So, with OPP’s help, he looked for a better job. And an even better job after that. Terrance works full-time as a spa attendant now, a job he loves. The atmosphere is tranquil, his manager respects him and his work, and he’s being given more responsibility. His goal is to manage a spa. Terrance, it turns out, has a knack for business. To reach his goal, he’s been taking online classes in hotel and restaurant management through a fully accredited program paid for by OPP. He studies hard. The difficulty of his class work amazes Sherrie. He plans to get his associate degree next at Three Rivers Community College—and then on to a four year college. OPP helped him save to buy a car and find his own apartment. He’s pleased to be so independent now. But he and Sherrie still talk at least once a week. “She’s like a second mother to me,” he says. Kars4Kids: According to your website the overall high school graduation rate in Hartford is less than 65% while youth enrolled in OPP have a graduation rate of 82%. How does the high school graduation rate in Hartford compare to that of other large cities in the United States? Our Piece of the Pie: The high school graduation rate in Hartford is dismal whether you compare it to other places in Connecticut or to other similar cities in the country. Currently the CT State Department of Education estimates the graduation rate to be 71.5% (63.6% for Hispanic students, 75.4% for African-American students, 59.6% for ELL and 69.8% for those eligible for free/reduced lunch). Connecticut has one of the largest achievement gaps in the country with just 72% of low-income students graduating with their class in 2013. But it isn’t just Hartford youth that are struggling. A recent report by Parthenon-EY on disengaged and disconnected youth found that there were over 39,000 such youth in Connecticut in the 2014-15 school year. These youth live all over the state, in urban and suburban districts, rural districts, in wealthier towns and in the poorer cities. There were clusters where the percentage of these students was higher including Hartford, Norwich and Windham where OPP currently has programs and services. Kars4Kids: Why is the graduation rate in Hartford so dismal? Our Piece of the Pie: There are a number of reasons that our Hartford youth are struggling. For many, the barriers they face on a daily basis, whether it is homelessness, food insecurity, gang activity, violence or other urban issues seem insurmountable and interfere with the basic tasks of getting up and getting to school each day, much less being able to engage meaningfully in their education. For many youth, they have struggled for years, been told they were not smart, incapable, or lazy and they have internalized this and see themselves as failures with no future. For some, there are no supportive adult role models to help them along the way, find resources and provide mentoring. Education funding in Connecticut is heavily based on local property taxes, creating stress points for poor urban centers such as Hartford. The traditional methods of education in our public schools simply do not work for students like our youth. Our goal is to provide them with the appropriate supports and services, re-engaging youth in their own futures and helping them to succeed. Kars4Kids: What is OPP doing that is making a difference in the graduation rate? Is OPP doing something that schools should be doing? Our Piece of the Pie: OPP focuses its resources on those students who are at-risk, disengaged from school or completely disconnected. This specific group of students are those who are struggling, may be behind credit-wise for their age, and at-risk for dropping out or those who have already dropped out. Our programs and schools are specifically designed to re-engage these youth in their own futures, our relationship-centered model provides them with the necessary adult support and a method and means to identify their goals, make a plan to meet those goals and break that plan down into smaller, more manageable steps. We then support youth through each step on their plan, cheering them on and helping them to navigate the challenges they face. Our youth face enormous challenges and barriers, whether that is homelessness, early parenting, family issues, mental/behavioral health issues, incarceration or justice involvement, many are from foster homes. In our programs, each youth is paired with a caring, consistent adult who acts as coach and mentor, helping to make connections to resources and guiding youth along a path to a high school diploma, postsecondary credential and meaningful employment. We meet youth where they are and help them to get where they want to be. Kars4Kids: Your website further states that 77% of OPP youth who graduate from high school go on to enroll in higher learning or vocational programs. That’s impressive. Are these OPP enrollees mostly from low-income families? How are they able to pay for further schooling or training? Our Piece of the Pie: OPP doesn’t require youth to provide household information as that can be a deterrent to services. Some of our programs are funded through contracts that do require us to provide documentation of need and most of our participants are from low-income families. We help them access financial aid that might be available to them. Also, our workforce development services include paid internship opportunities that often lead to paid employment. Many of our youth work their way through programs. One area of great growth has been our career pipeline program, Pathways to Careers Initiative. One of the largest growing areas of employment is in what are often called middle jobs, where a post-secondary certification in a career specific program can provide access to a well-paying job with career prospects. We have developed partnership programs with Asnuntuck Community College and Goodwin College to provide these certificates in Manufacturing and Allied Health—currently two areas of labor market need. Youth in our programs attend these classes and have access to career-aligned paid internship opportunities that enable them to continue to earn and provide while seeking their credential. Our high school, OPPortunity Academy (OA) has a new partnership with Southern New Hampshire University’s College for America (CfA) program where OA seniors can dual enroll in CfA and can earn an Associate’s Degree in Business or Health Administration within one year of graduating high school. CFA’s programs are provided online, a nice complement to our blended learning, mastery-based program. Due to creative funding and the use of Pell grants, this program allows youth to graduate debt free! 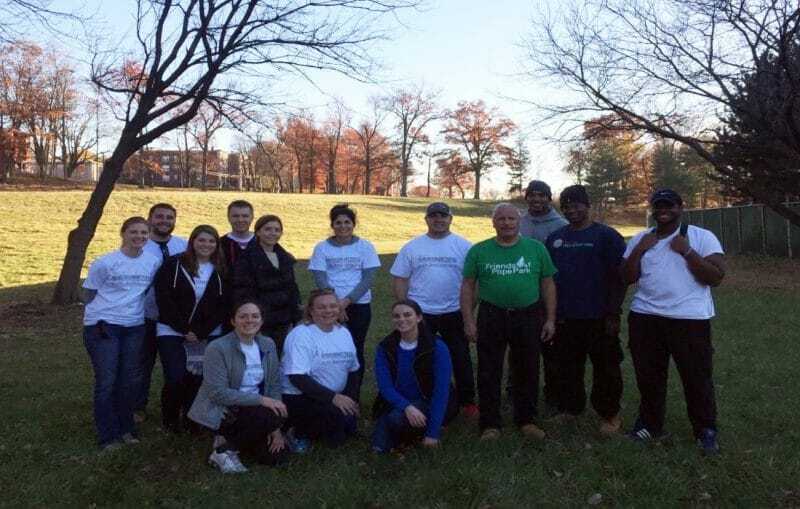 OPP’s The Hartford Youth Service Corps (HYSC) group has partnered with Friends of Pope Park to help clean up and preserve the park. 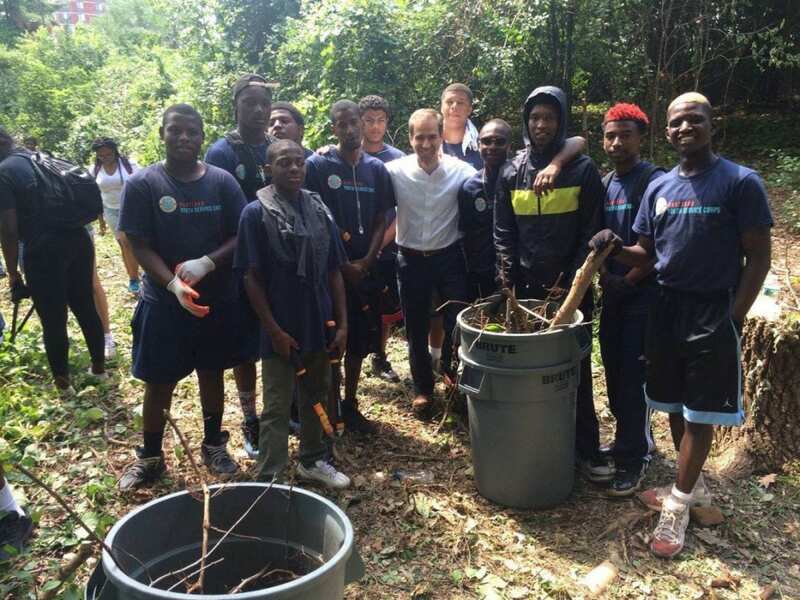 Corps members have been removing all trash and environmental debris, specifically focusing on making accessible pathways to allow water to stream accordingly. Kars4Kids: OPP matches youth with caring adults in the form of a Youth Development Specialist (YDS). How does someone qualify to become a YDS? Our Piece of the Pie: OPP’s community-based programming maintains a caring, consistent, and diverse staff, the majority of which are members of minority groups. Youth Development Specialists (YDS)are required to have Bachelor’s Degrees preferably in human services or similar disciplines. YDS must demonstrate experience or aptitude in working with at-risk youth and must have a commitment to serving youth. Our most important value is “Youth First” and in everything we do at OPP we take into account the needs, input and opinions of the youth that we serve. Once hired, YDS undergo a rigorous training program in our model of providing services and in the evidence-based practices it is based on. Along with their instructor, Julie Bergeron, two youth contributed to the Hartford Public Library’s Hartford History Makers Art Show. The group called for artists to create portraits of black visionaries and change-makers in Hartford. Kars4Kids: What happens in an initial meeting between a young person and an OPP YDS? Our Piece of the Pie: The initial meeting is the beginning of a relationship—youth and their YDS get to know each other, start to talk about youth goals and make connections. Youth are assessed for basic needs and directed to resources as necessary. Youth and their YDS will create an individualized success plan (ISP) which maps out a path from where the youth is to where they want to be. Long-term goals, such as graduating from high school or becoming a nurse, are broken down in to shorter more manageable steps (getting to class more often, getting tutoring help). Then the youth can be directed to resources to help (academic specialists for tutoring, YDS can check in to assist with attendance, etc) and progress is monitored constantly. Goals and plans are flexible and can be adjusted as necessary for change in circumstances or overall change in goal. For the Thanksgiving holiday, OPP’s Eastern CT center hosted a meal for youth, complete with the holiday fixings and a few moments to talk about what they’re thankful for. Kars4Kids: What makes a youth eligible for OPP? Our Piece of the Pie: OPP youth are referred by many different paths. We get referrals from schools, city agencies, other non-profit organization, social service agencies, the Department of Children and Families, the CT Court System, and Capital Workforce Partners (our Workforce Board here in Hartford). A testament to our success is that many of our youth are referred to us by their peers. One of our challenges is securing funding to serve those youth who are not currently connected to an agency or contract to provide funding to serve them. We have many youth on our waiting lists and we work diligently to explore additional funding sources to provide these important services. OPP youth delivered 487 winter coats to support Coats for Connecticut . Kars4Kids: Is there anything that would cause OPP to drop a young person from the program? Our Piece of the Pie: As part of their plan with their Youth Development Specialist, youth have to remain engaged. Our YDS reach out constantly and consistently to retain youth in our programs. There are those who need to leave us due to personal or family reasons, and, unfortunately, there are others, that no matter how hard we try to engage, are just not willing to do their part. 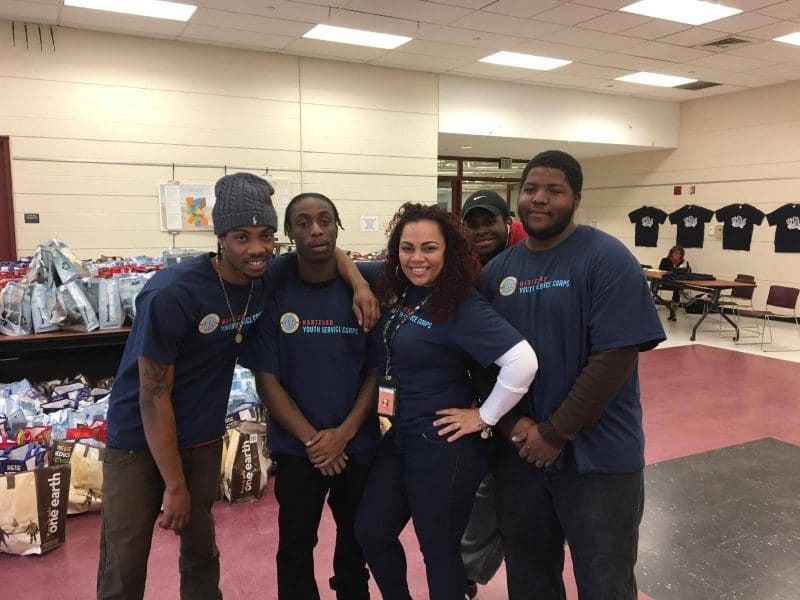 Kars4Kids: OPP works with Hartford Public Schools for Opportunity High School which has graduated 172 previous or near dropouts with OPP’s help since 2009. Tell us about Opportunity High School. Our Piece of the Pie: Originally created as a partnership school where Hartford Public Schools provided the academic and administration services and OPP provided our Youth Development Services, in 2015, Hartford Public Schools voted to change the model to one where OPP was responsible for ALL services at the school—academic, administrative and youth development and Hartford paid a per-pupil fee. Renamed OPPortunity Academy, the school moved to a location in our administrative offices and in its first year (2015-16) served 175 students, graduating 16 in its inaugural class in June 2016. OA’s mission is to re-engage over-age, under-credited (OU) students in education, supporting them through the mastery of the critical skills necessary for success in college, career and community. At OA, students earn credits at an accelerated pace, using mastery-based progression versus “time-in-seat” to earn credits. This is important for OU students, who in typical settings might have to take the entire class over again even though they only missed the last semester. The school uses a model that integrates technology (blended learning), project-based learning and extended learning time. Blended learning is a combination of computer-based and teacher-led instruction which allows students to move at their own pace through the curriculum, spending more time in areas of challenge to ensure mastery. Project-based learning is rooted in active learning and allows students to practice and combine skills in projects providing deeper, more engaged learning. OA’s mastery-based progression means that students always move forward, never back, can stick with something until comprehension and can move through curriculum at an individual pace. All of OA’s educational model is anchored by student supports through OPP’s unique combination of Youth Development, Post-Secondary Preparation and Workforce Readiness helping students to overcome barriers, provide long-term guidance and focus on academic and personal success. Each student at OA works with a YDS to determine their long-term goals, break those goals down into shorter, more manageable steps and create a plan for success. In addition to OA, OPP operates the Learning Academy at Bloomfield which is a similar program for the Bloomfield Public Schools. In 2012, OPP opened Path Academy, Windham, CT’s first charter school dedicated to OU youth. OPP serves as Charter Management Organization for this school which is chartered for up to 200 students from the Windham area. This past holiday season, the Hartford Youth Service Corps and the Urban League of Greater Hartford teamed up to generate a toy drive for Hartford’s youth. Corps members sorted through various toys and arranged all the toys according to gender and age prior to passing the toys out to Hartford parents. Kars4Kids: Your website states that youth have to be motivated to get a high school diploma in order to qualify for Opportunity High School. Is motivation judged on the youth’s say-so, alone? How does one measure motivation? Our Piece of the Pie: The enrollment process at OA is designed to help determine which students will be best served by the model. Youth must go through an interview process that takes a few weeks to assess their engagement, level of interest and motivation. Kars4Kids: Your website states that some 30,000 young people are classified as over-age, under-credited youth, or dropouts aged 16-24. How many young people are currently in the OPP program? Is the OPP contribution to overturning this high rate of dropouts, significant? Our Piece of the Pie: Last year (2015-16) OPP served 1610 youth across Connecticut. We know that we are making a difference in these young people’s lives. 1 million US High School Students drop out each year, that’s an average of 1 every 29 seconds. Youth without a high school diploma face drastically reduced prospects for their futures. In 2015, the annual income gap between those with and without a high school diploma was more than 140% which translates into more than $1 million over a lifetime. Furthermore, people without a high school diploma are less healthy, use more social services, are more likely to be incarcerated, suffer with more unemployment and have shorter lives. Beyond the individual, there are impacts for the community at large. In Connecticut the annul fiscal impact on the state budget (in terms of lost revenue from taxes and additional expenses) is estimated at more than $900 million. Helping just one youth to graduate from high school can provide an additional $400,000 over their lifetime. This is an investment in our future. While OPP can’t solve the dropout problem on our own, our programs are successfully helping youth to become economically independent adults. OPP works with others in the sector, as a thought-leader and collaborator, helping to define and disseminate best practices in the field for others to continue to provide and improve services and supports for youth across the country. Kars4Kids: If a youth has made it all the way through high school and is attending a community college, why would he or she then drop out? Why is OPP’s presence needed on campus? Our Piece of the Pie: This is a common misconception – that once a youth has “made it” to community college, they are set on a path towards success. Unfortunately, the majority of low-income community college students do not complete the program. The transition to post-secondary education, whether it is community college, a 4-year school or a vocational program is challenging for many students no matter what their backgrounds. For students from high-risk backgrounds, who may be the first in their families to attend post-secondary programs, they may not have the personal supports and mentors within their families and communities to help them navigate these changes. Education after high school is quite different, students are expected to be much more independent, both in their studies and their personal lives. No longer are days punctuated by a bell telling you to move from math to English class, no longer is homework assigned and collected. College professors don’t take attendance, you are expected to manage yourself, your work, your syllabus and figure out how to get your work done in the time allotted. For many OPP youth, they are also managing family issues, transportation challenges, part-time work, financial struggles and the like. It’s a lot to juggle and one seemingly small problem can topple the whole system. OPP began its work in community colleges by placing staff on campus. Rather than focus on one or two programs, OPP now works directly with the youth in our programs, helping to connect them to the resources at their schools, monitor their plans, overcome barriers, provide additional study support—whatever is needed. Additionally, we have created new initiatives in post-secondary for our youth. For a lot of our students, the thought of spending 2 or 4 years pursuing higher education is daunting. With a need to provide financial support for themselves and their families, such a program can feel out of reach for many of our youth. Our Pathways to Careers Initiative is a pipeline project that matches motivated youth with post-secondary programs in high demand fields for the CT labor market. We work with Asnuntuck Community College and Goodwin College to provide our students with vocational certification programs in Manufacturing and Allied Health, where starting salaries in the $30,000 plus range are above the median income in Hartford. OPP helps students with application assistance, financial aid workshops and study skills. Additionally, as part of our program, youth participate in our Career Competency Development Training which provides foundational workforce skills in areas such as problem solving and customer service providing needed training in pre-employment skills. Youth have the opportunity to participate in career-aligned internships that match their post-secondary program, get help with interviews, job searches, resume writing and job placement upon graduation. New to the initiative is OPPortunity Academy College Scholars Program a partnership between OPP, OA and Southern New Hampshire University’s College for America Program which allows motivated high school seniors to dual enroll in OA and CfA during their senior year. They can then earn an Associate’s Degree in Business or Health Management within one year of their high school graduation. They also participate in CCDT, get internships in career-aligned areas and receive job placement help. Importantly, they graduate debt-free! 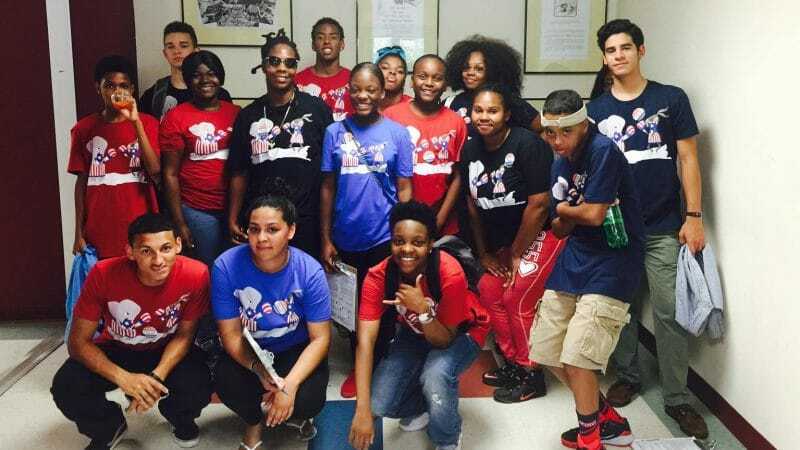 This past summer, the Hartford Foundation for Public Giving supported OPP’s Summer Scan, where youth spend their summer exploring major topics, and this year’s theme was Empowering the Voters of Today and Tomorrow. Over the six weeks. youth explored the history of voting, learned the registration process, held their own debate, met with local leaders, and held voter registration drives which helped 117 people register to vote! Kars4Kids: You offer Family Involvement Workshops. Are most parents willing to get involved in these workshops? Are they able to attend what with work responsibilities, assuming some of them work night shifts? Our Piece of the Pie: For youth with family, we work hard to engage their parents in our programs. Many of our youth, unfortunately, do not have family or have family that are not in a place to be engaged. We offer our programs and supports at various times of the day and night to assist with access for families that may have work responsibilities, other siblings, etc. YDS go to youth homes as necessary as well and maintain communication as much as possible. Family support can provide a significant boost for youth and OPP does what we can to assist.